After their graduation from the University of Southern California’s robotics program, Lior Elazary, Dan Parks and Randolph Voorhies were casting around for ideas that could get traction quickly. “Our goal was to get something up and running that could make economic sense immediately,” Voorhies, the company’s chief technology officer, said in an interview. Despite the early success of iRobot, consumer-facing or collaborative robots that could operate alongside people had yet to gain traction in wider markets. Willow Garage, the legendary company formed by some of the top names in the robotics industry, had shuttered just as Voorhies and his compatriots were graduating, and Boston Dynamics, another of the biggest names in robotics research, was bought by Google around the same time — capping a six-month buying spree that saw the search giant acquire eight robotics companies. With the idea in place, the team, which included technologists Voorhies and Parks, and Elazary, a serial entrepreneur who had already exited from two businesses, just needed to get a working prototype together. And those old systems weren’t built for random access patterns and multi-use orders, which comprise most of the shipping and packing that are done as e-commerce takes off. With those sunk costs though, warehouses are reluctant to change the model. The innovation that Voorhies and his team came up with was that the logistics providers wouldn’t have to. In the beginning, the team at inVia played with different ways to build the robot. At first there was a robot that could carry several different objects and another that would be responsible for picking. The form factor that the company eventually decided on was a movable puck-shaped base with a scissor lift that can move a platform up and down. Attached to the back of the platform is a robotic arm that can extend forward and backward and has a suction pump attached to its end. The suction pump drags boxes onto a platform that are then taken to a pick-and-pack employee. 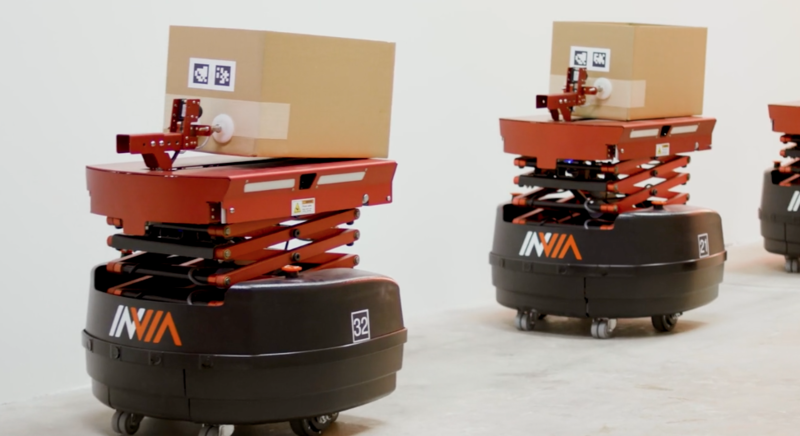 Since bootstrapping that initial robot, inVia has gone on to raise $29 million in financing to support its vision — most recently with a $20 million round that closed in July. “E-commerce industry growth is driving the need for more warehouse automation to fulfill demand, and AI-driven robots can deliver that automation with the flexibility to scale across varied workflows. Our investment in inVia Robotics reflects our conviction in AI as a key enabler for the supply chain industry,” said Daniel Gwak, co-head, AI Investments at Point72 Ventures, the early-stage investment firm formed by the famed hedge fund manager, Steven Cohen. Given the pressures on shipping and logistics companies, it’s no surprise that robotics and automation are becoming critically important strategic investments, or that venture capital is flooding into the market. In the past two months alone, robotics companies targeting warehouse and retail automation have raised nearly $70 million in new financing. They include the recent raised $17.7 million for the French startup Exotec Solutions and Bossa Nova’s $29 million round for its grocery store robots. It may not sound like a huge change, but those kinds of efficiencies matter in warehouses, Voorhies said. “If you’re a person pushing a cart in a warehouse, that cart can have 35 pallets on it. With us, that person is standing still, and they’re really not limited to a single cart. They are able to fill 70 orders at the same time rather than 55,” he said. 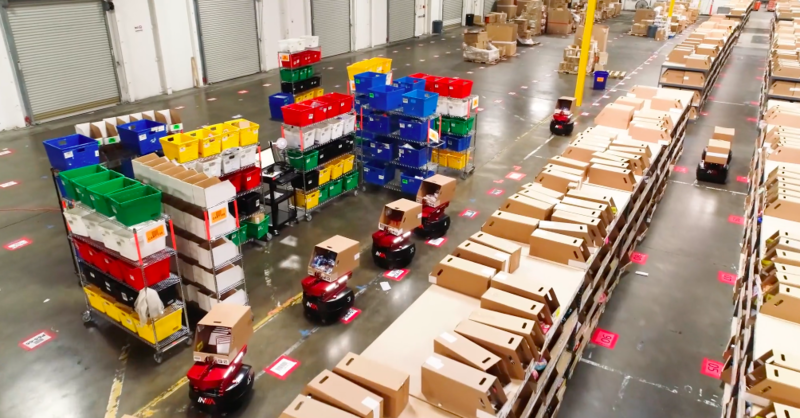 At Rakuten Super Logistics, the deployment of inVia’s robots are already yielding returns, according to Michael Manzione, the chief executive officer of Rakuten. *This post has been updated to correct the spelling of the name of inVia’s chief executive, Lior Elazary.